Today I have reached a milestone with my STi. It has reached 150,000 miles and has not blown up yet (oh boy have I just jynxed myself). I suppose already having had the headgaskets replaced before I bought the car has helped it with being reliable but in general the car has been very good to me so far in the past 15k miles of ownership. I am about a month away from the 1 year mark of ownership so I will wait to post my thoughts on that. 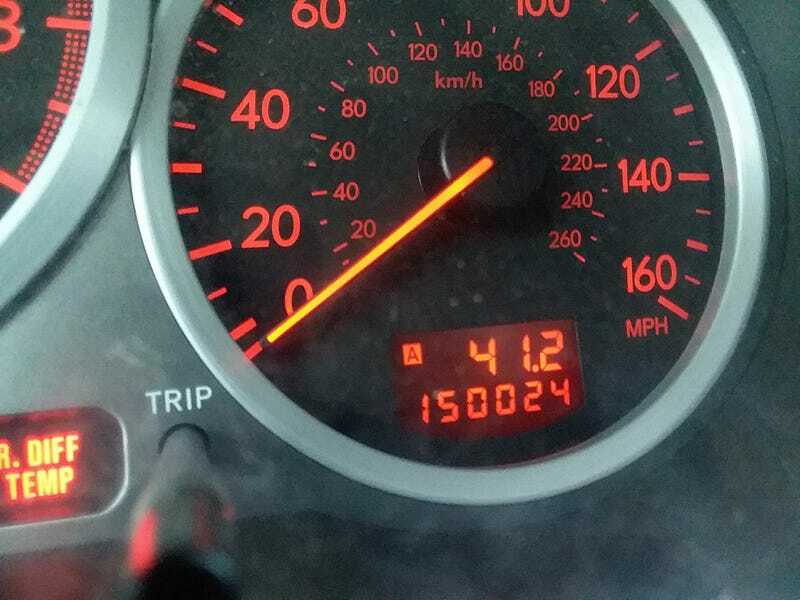 But I guess now that I have crested 150k, the car must be worthless! Funny thing is I still see these with close to 200k going for $15k+ so I think I should be alright. My plans are definitely to keep the car but who knows where life will go and it’s nice to know these hold their value. I am sure I will be increasing that mileage counter this winter with my trips to Mammoth and for sure another trip out to Utah. I still from time to time toy with the idea of driving all the way to Revelstoke and Jackson Hole and making it one big ski road trip for a month. But that seems wild to me! Anyways, to many more miles of smiles! Only 60k to go to catch up to my Miata. Although that will never happen since I am not gonna stop driving that car until it breaks in half.